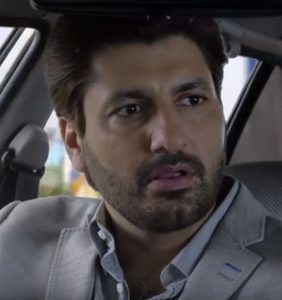 Episode 20 of Ranjha Ranjha Kardi was yet another display of phenomenal performances, particularly by Imran Ashraf aka Bhola, and took a mammoth leap by taking the audience with him by towards the darker side of his condition and its repercussions on the entire family, especially Noori. 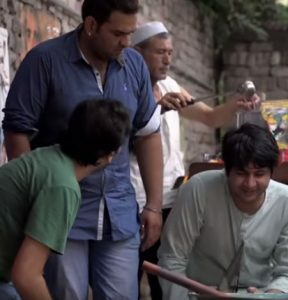 The script opened with the sweet and innocent Bhola playing a game of Ludo and at the same time, grapple his demons that are being provoked by the prescription that he’s being deceived into taking, causing the closest one to him, his dulhan, to endure his tempestuous mood swings. 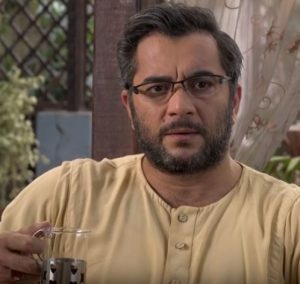 The entire episode revolved around the pent up emotions, flare ups and aggression causing Bhola to hurt Noori and we now know that they are side effects of the medication that he is taking, courtesy Nusrat chacha. And it has, hence, become evident that Bhola’s mental state has been mercilessly used to deliver these socio-psychopathic episodes so his chacha could spend his old age with his Bhola’s inheritance. However, it is Noori who has become a pawn in this game despite her efforts to maintain a relationship with everyone in the haveli, and accepting her karma after Amma Janatey’s advice. Noori has, since then, kept a positive hold, built a relationship with the rest of the family, and managed to open her heart and take Bhola as he is. But her honesty and good will got her on the wrong side of Nusrat chacha. 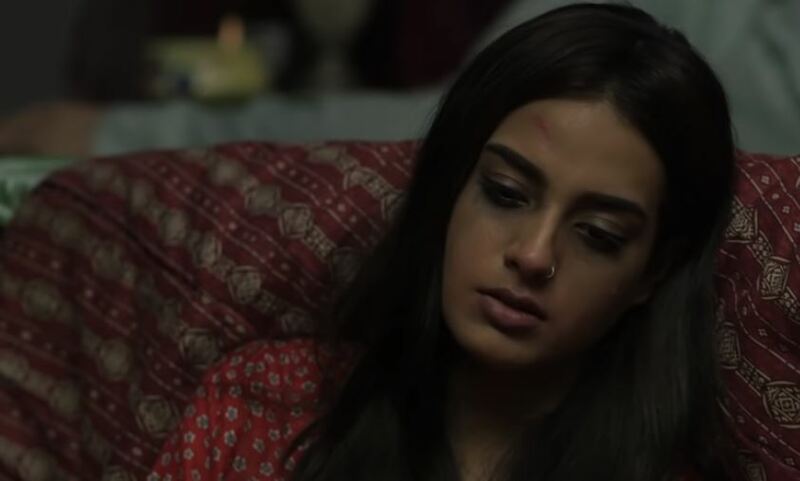 So, Noori played the hero by trying her best to handle Bhola on her own, in every way possible, offending everyone and sticking to Bhola, however it later got out of control for her when he tortured and beat her up after the over dose, and we have his friends, Dar and Shafiq to blame because they have their own deal with Noori to avenge, so everything that has happened around Bhola has only added fuel to the fire, and this time around, Bhola and Noori’s blossoming relationship is the pyre. And this is exactly what Nusrat wanted the outcome to be. So, Sahir finally show’s up at the haveli only on Nusrat’s insistence and is not aware of his intentions, even though we did see Sahir earlier speaking to his sister who was inquiring of his interest in going to their house because they had a daughter. He didn’t get to meet Noori again this time, however Nusrat did take Sahir off guard by putting forward Komal’s hand in marriage, leaving a gaping Sahir. Nusrat and Sahir are like North and South Pole, however they share a few common traits such as selfishness and ulterior motives. We know how Sahir played Noori and perished to the Middle East, and Nusrat has been working along with his Bhabhi so he can become the successor of her inheritance through Komal. 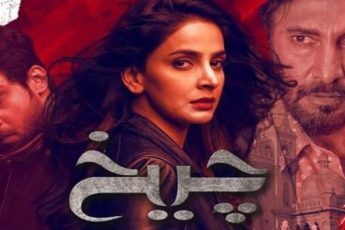 Both these characters strongly pursue what they want, but with the situations changing, we’re going to see how Sahir reacts when he see’s Noori in the next episode and (if we’re right), he might indicate that Nusrat is to blame for Bhola’s condition. 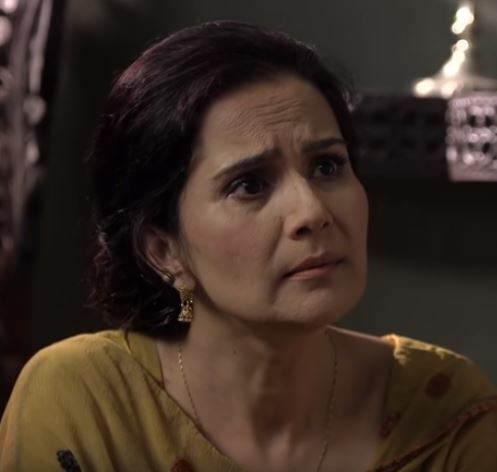 Rizwana has been the most unapologetically interesting character thus far and is not afraid to express what’s on her mind. Whether it’s been her feelings towards Noori when she arrived, or psyched by Bhola’s madness, however this time it was her shock and dismay toward her husband’s master plan. This time, Rizwana begum was shocked at what she once thought was Nusrat’s naivete and this was perhaps one of the favourite scenes amongst many of Bhola’s. 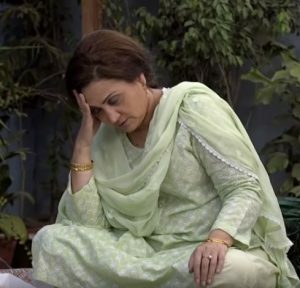 In the closing scene of episode 20, we saw Fehmida entering Bhola’s room after he brutally violated Noori so that is going to be interesting to watch and we see that Sahir and Noori finally meet and he finds out that she is the bahu. Sadly, the show’s entering its climactic role and we’re not sure if we’re quiet ready to let go. Until then, you can watch episode 20 here.